Listed below are just some of the benefits of FLVA membership. All members of the FLVA receive a membership pack on joining as well as aditional benefits listed below. Access to our Members Area featuring downloads and information is also included. All staff irrespective of hours worked must have a contract from their employer. The FLVA has drawn up one which takes into consideration that the licensed trade is a service industry and therefore needs to be flexible. A 31 page book that gives the licensee and their staff guidance on legislation and responsibilities and then proceeds through the business from car park to letting accommodation with sensible questions in page by page sections to complete. A compact 80 page book which should assist you to meet your responsibilities fully under the above legislation. The book covers subjects from managing asbestos to guidance on your responsibilities under the Working Time Regulations. In addition there is also a section on COSHH assessment with guidance on how to complete, a simple 7 page fire risk which assists you to meet your responsibilities under the Regulation Reform (Fire Safety) Order 2006 which all businesses must complete and at the back of the book for you to complete you will find your own health and safety risk assessment for your business. It covers all areas from car parks to cellar. This four page document spells out your responsibilities including; a letter staff must sign if they are to breach the regulations regarding the average weekly working limit of 48 hours; a limit on night workers average normal shift to 8 hours; requirement to offer health assessment to night workers; minimum daily or weekly rest periods; rest breaks at work; paid annual leave to all employees which includes a chart on how to work out staff holiday entitlement under the amendment to the Regulations 2007. We have drawn up a Business Plan for the licensed trade (The Helping Hand) to assist members in reviewing their business in the future. When requested we visit the premises and give help and guidance to the licensee. We are regularly consulted by government bodies on legislation, e.g. the 2003 Licensing Act, head on a pint, soft drink prices, minimum wage and other employment issues. This is a valuable guide not only for prospective licensees entering the trade but also for experienced licensees who are moving house or updating their business plan. 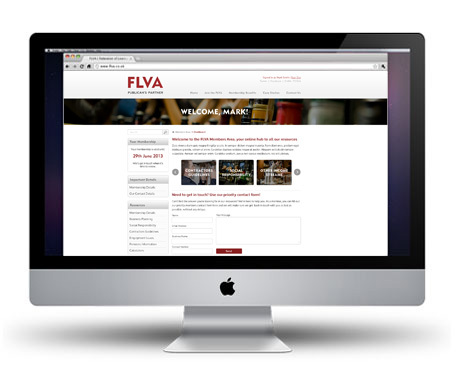 The FLVA are a co signatory to the legally binding industry industry framework code of practice which outlines the procedures and standards which your Brewery/PubCo landlord must adhere to. We are a board member of this scheme which is a low cost rent resolution service which can be utilised by most Tied Tenants and lessees in the UK to resolve matters relating to rent when agreement between Brewery/PubCo landlord cannot be reached. This is a further service offered under the jurisdiction of the PIRRS board which offers a low cost service to resolve issues which relate to the individual Co’s Code of Practice or the Industry framework code of practice. See further details on web site. This information is provided by the BBPA to help those wishing to take on a tenanted or leased pub business be as well informed as possible about the costs involved in running a pub. When developing business plans, and negotiating over leases and tenancies in the UK pub trade it is very important to gain as much knowledge as possible.. This guide provides valuable new data for tenants and lessees on typical operating costs in the UK pub industry. The report represents the best available data available from BBPA member companies on the costs of running a pub in the tenanted and leased sector of the UK pub market. It is a vital reference tool for anyone thinking of investing in a pub. You should ensure that this model is used as a guideline and benchmark only and you should ensure that all cost centres such as live entertainment and live sports coverage are included within your business plan for your property if they form part of the package on offer. If you are an existing tenants or lessees will also be able to benchmark your own business, by comparing your own costs against this industry data base. If you need assistance to utilise this tool please contact us at the FLVA. Members are sent regular newsletters which update them on details of change in legislation which affect their business with guidelines. Alternatively, call or email to get your application started.